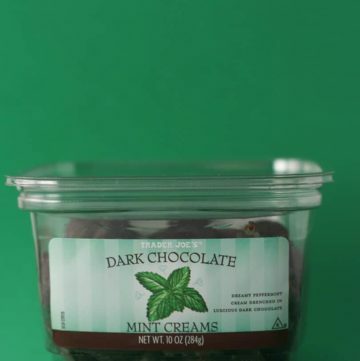 The pros: Trader Joe’s Dark Chocolate Mint Creams taste like a cross between a Junior Mints and a Peppermint Patty. These are smaller than the seasonal holiday ones. 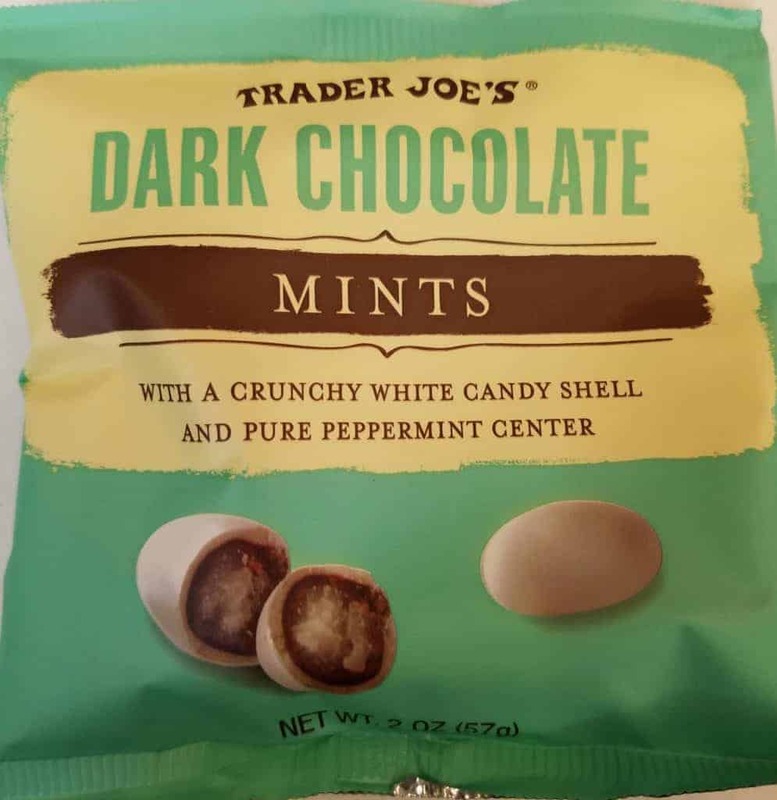 The cons: If you are a mint chocolate fan these are addicting and in fact I had to purchase this several times in order to write this review. I hope my sacrifice was worth it. 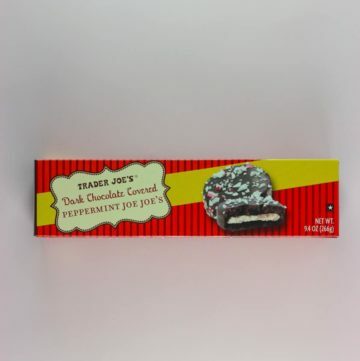 The pros: Trader Joe’s Marbled Mint Crunch Chocolate Bar is a combination of dark chocolate and mint. Reminded me of eating a large Andes Candy. The cons: Underwhelming amount of crunch and dark chocolate was very sweet. 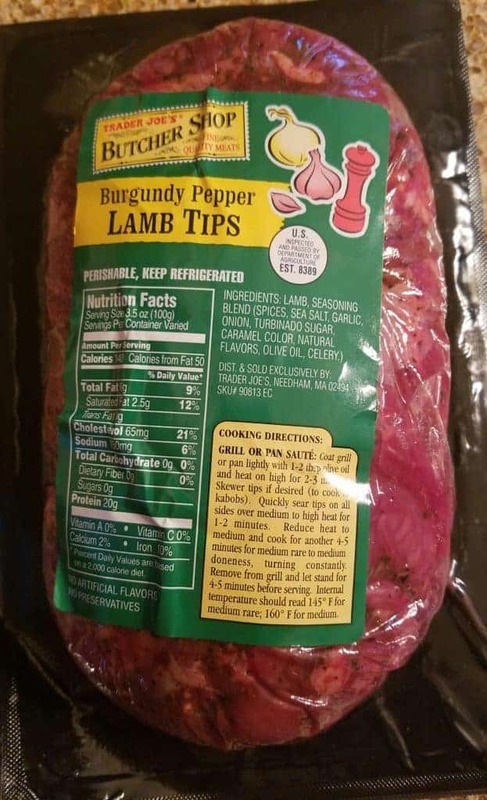 The pros: Trader Joe’s Burgundy Pepper Lamb Tips have a super tasty spice combination on lamb slices. The cons: Australian lamb, no burgundy (red wine) according to the ingredients. 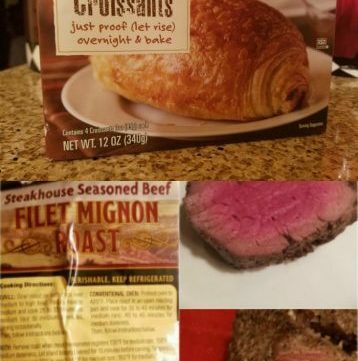 The cons: Small sized bag for the money, package should be resealable. 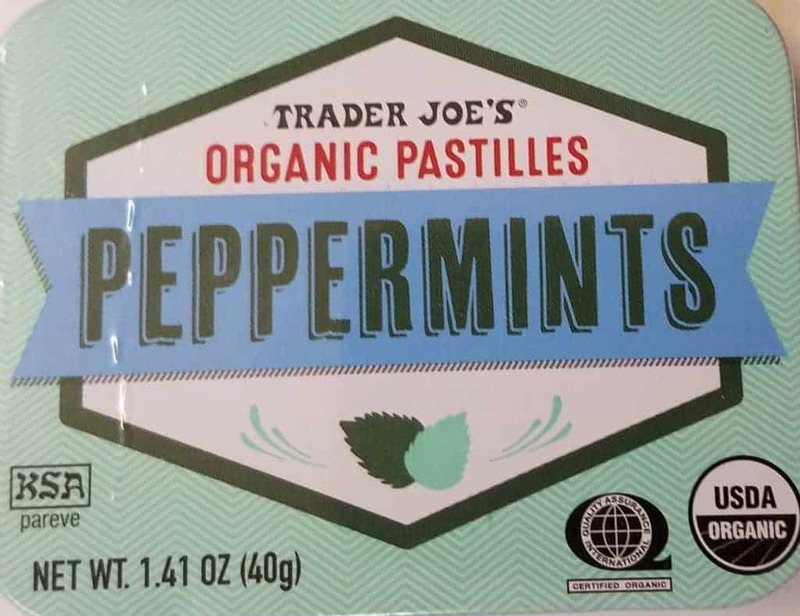 The pros: If you weren’t looking at Trader Joe’s Organic Pastilles Peppermints, you would think they are Altoids. There is a noticeable visual difference in the color as they are not as white as Altoids and also seem to have bits of dried mint in each candy. The cons: Like altoids, they might remind you of chewing on dry toothpaste. So you’ve made a New Years Resolution. Perhaps you realize summer will be here eventually. 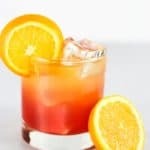 Perhaps for health or personal reasons you realize that it’s time to drop a few pounds. There are plenty of diet programs out there. One I’m most critical of is Jenny Craig. Not that it’s a bad program, but it’s expensive. It also goes against the philosophy of “Give a man a fish, you feed him for a day, teach a man to fish you feed him for a lifetime.” You are never really taught how to cook. Plus their food is quite expensive and some can even be confused with pet food visually. 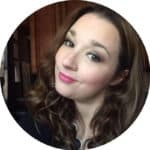 Since adding time to a set 24 hour day isn’t going to happen, you may need to rely on certain things being already made for you. Maybe it will give you time back in your day or give you just a few more minutes at the gym. 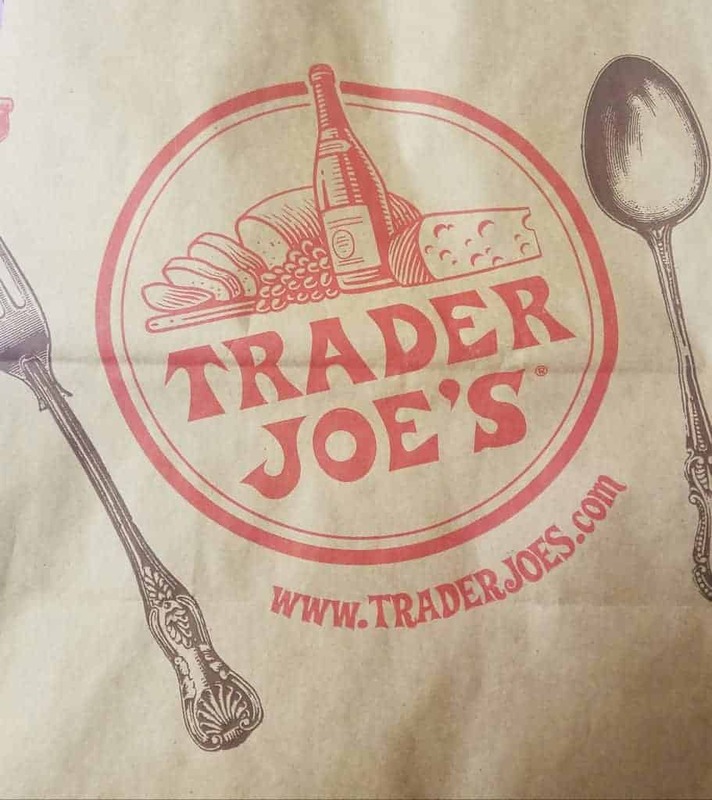 So I’ve pulled together of (most) of my reviews and complied a calorie count for each item if you plan on Dieting at Trader Joe’s…. 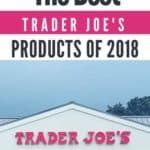 The pros: Trader Joe’s Dark Chocolate Covered Peppermint Joe Joe’s are super chocolatey, rich with a nice balance of candy cane flavor and texture. The peppermint is a compliment to the chocolate and doesn’t overwhelm it. Good quality chocolate was used on the outside. The cons: Only 10 in a package. 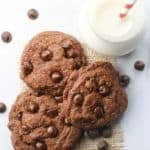 Each cookie is over 100 calories each. 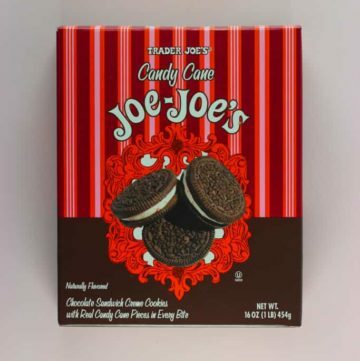 The pros: Trader Joe’s Candy Cane Joe Joe’s are much like double stuff Oreos with the familiar filling which includes finely crushed peppermint for an enjoyable crunch. The cons: Not quite as chocolatey as Oreos. 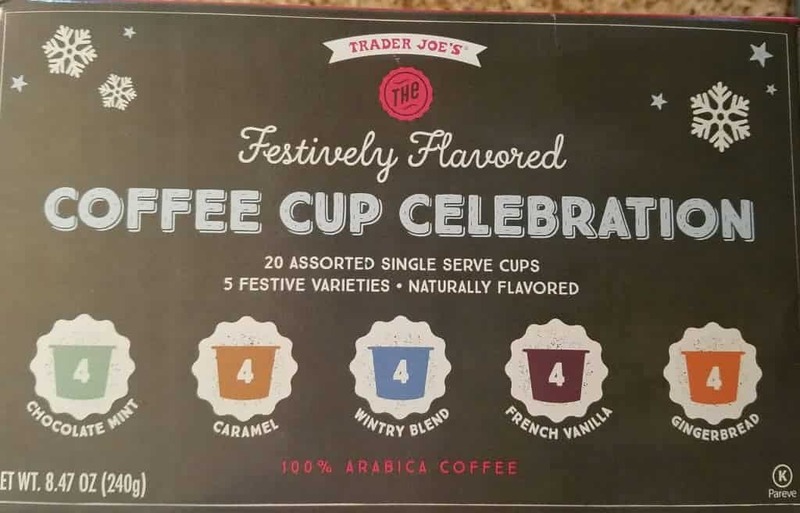 The pros: For those of us who live out of Keurig, Trader Joe’s Festively Flavored Coffee Cup Celebration is a great way to get a variety in one pack at a reasonable price. The cons: If you have one of those k-cup organizers, these packs will render that useless as each one is wrapped in plastic to keep the k-cup with less plastic fresh. 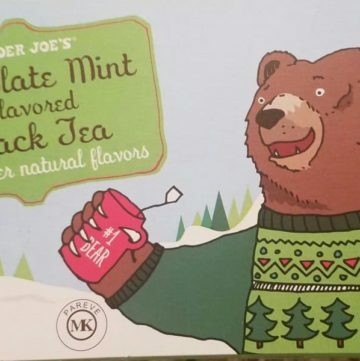 The pros: Trader Joe’s Chocolate Mint Flavored Black Tea smells right away of chocolate which got me kind of excited for the taste. These Tea bags come with strings. 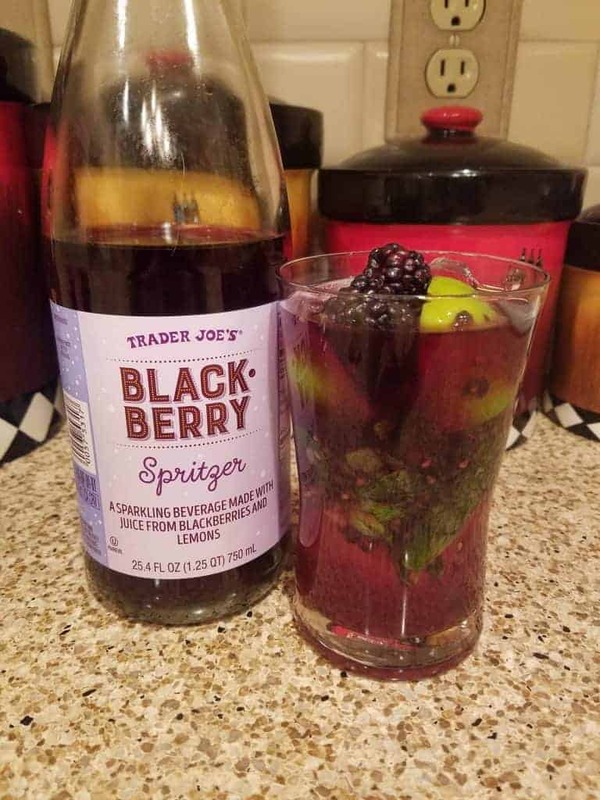 The cons: Tastes like black tea with minimal flavors of mint or chocolate. Plastic packaging seems a bit wasteful. 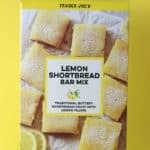 The pros: Compared to buying these at a bakery, Trader Joe’s Macarons des Fetes are a steal and they can be kept in your freezer. 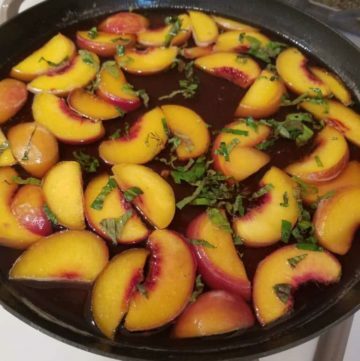 They take about 30 minutes to come to room temperature and you are ready to serve. 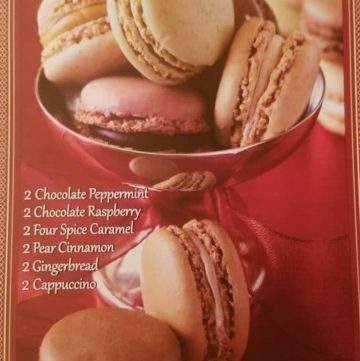 This is a fun seasonal variety of flavors that was hard to spot at my local Trader Joe’s because it blended in with all the other macaron varieties. The cons: The colors on this are far more muted than some of the other flavors available regularly. The regular variety pack is far more colorful. While these are festive, two of the varieties looked almost exactly alike: the gingerbread and cappuccino. The box blended right into the regular variety pack of macarons. 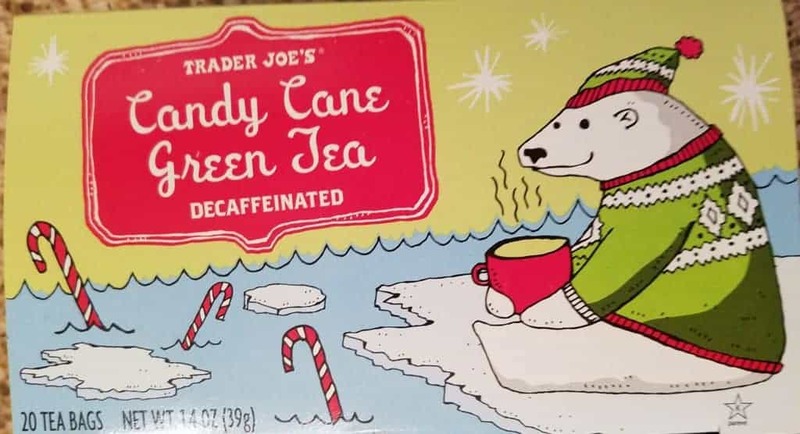 The pros: If you enjoy the taste of candy canes but don’t want to deal with the sugar level, Trader Joe’s Candy Cane Green Tea is a great tea. For a green tea this brewed darker than most, almost like a black tea. This is a very minty tea. The cons: No strings with these tea bags. This is a seasonal item so if you see it, just understand it will not be on the shelves for very long. Dinner time. 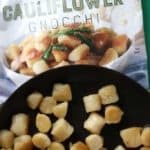 For what a fast food dinner at McDonalds or Chipotle will cost you, perhaps you should instead look in the freezer aisle at Trader Joe’s for something that is far tastier and perhaps even a bit cheaper. Even cheaper than buying individual meals for three people. Now granted, I haven’t included side dishes on this one, but let’s face it. It’s all about the protein. 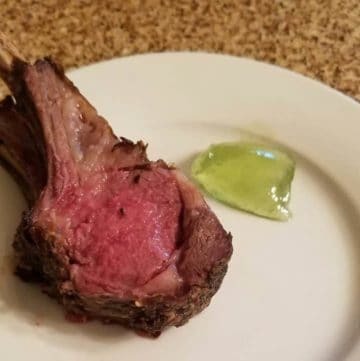 Trader Joe’s Seasoned Rack of Lamb is tasty and with some planning it makes for an elegant dinner….